karmavoyager: The fellowship of the Ring. On our journey we have met many pilgrims from different lands. Those that started with us in France and are still walking are special. These it is a pleasure to meet again and share our experiences of the Camino. Some we share rooms with along the way. Sometimes we walk a little together, then part and meet again in an Albergue for the night. Often we will share meals with them, which makes the Camino so special for there is this camaraderie that does not exist in our modern life. Our BBF cannot always remember the names of these pilgrims, so has taken to greeting them with the name of their country. "Good morning France!" for example! A few we have met we have enclosed in our hearts. These are very special friends. Like S and M from Australia. They're a handsome young couple, not long together and clearly in love with each other and life. Then there is J and S from the US of A. These four have all started with us in France, and now they have become Alan's "Fellowship of the Ring!" It was while we were in Najera that Alan found the ring in the Monestery. The Ring of the Way, is inspired by what the ancients called the rings of the earth or the black grooves. Supposedly man absorbs the force he needs to attain health from these black grooves. The ring is therefore black and has the scallop shell inscribed together with two stars, representing the Milky Way, which is also the Way of St James. Each ring is unique and is numbered. Alan's is number E587. The ring will be an alliance among those who feel the Way and is a talisman and a protection against difficulties and it will be "the Force that will accompany the wearer for ever!" To increase the power of the ring one is encouraged to find a pilgrim with the same size ring as yours in the Cathedral in Santiago and exchange with them the ring thus summing their strengths and experiences of the Way. 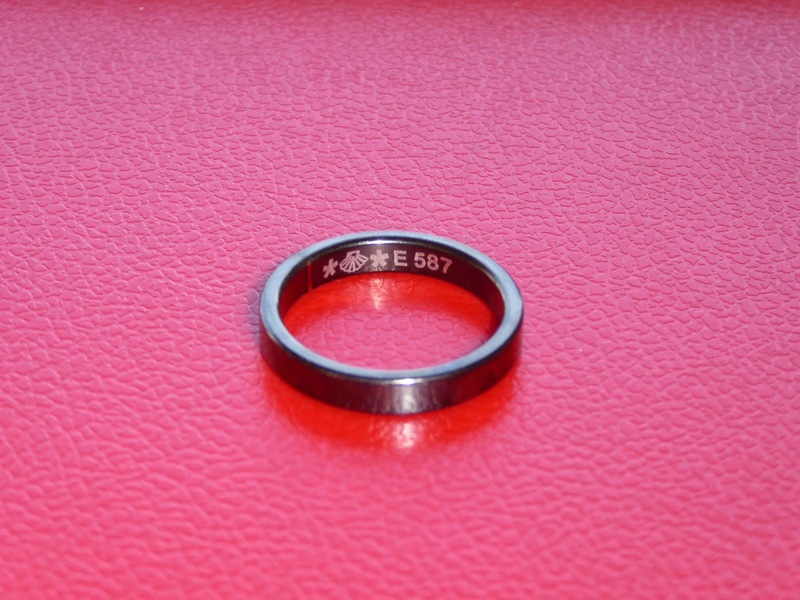 S and M each have a ring and S's ring is number E588. 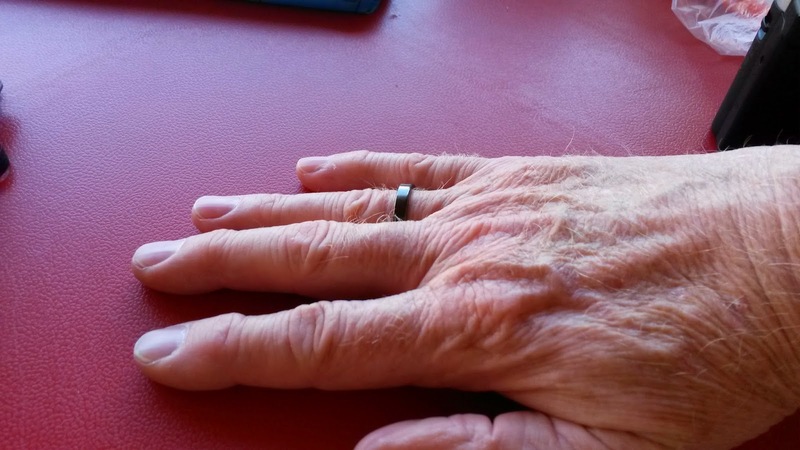 Alan and S intend to exchange rings when they get to Santiago. The power then must surely be stronger as each ring will reside on opposite sides of the earth. We think it will bind them in a friendship for life. There are some things they don't tell you!